Okey Marcellus Ikeanyibe has a Master’s and PhD degrees in Public Administration and Local Government of the University of Nigeria, and, a Bachelor’s degree in Philosophy of the Pontifica Urban University, Rome. He joined the Department of Public Administration and Local of the University in March 2007, having previously taught full time at Benson Idahosa University Benin City from 2005 to 2006 and Federal Polytechnic Oko briefly in 2001 on part-time basis. Okey teaches and researches in the main, in Public Policy, Administrative Reforms, Personnel Administration, Comparative Public Administration and Local Government and Political Parties and Election Management. 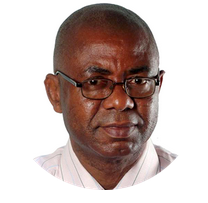 Between September 2014 and April 2015, Okey was a Visiting Research Fellow (VRF) at the Central European University (CEU) Budapest Hungary, a programme that was sponsored by Open Society Foundation (OSF) and Central European University Foundation (CEUF). While at CEU, Okey also won a grant from the CEU Foundation to participate in a study programme on Reversing the Resource Curse, floated by the Natural Resource Governance Institute (NRGI) and the Global Policy Academy (GPA) of the School of Public Policy (SPP), Central European University (CEU) in April 2015. Okey has published extensively in both national (Nigeria) and international journals and books. His books include Principles and Practice of Personnel Administration: A Nigerian Perspective published by Lambert Academic Publishing Germany and Public Policy in Nigeria: Perspectives on Social Policy and Administration. He also co-edited the book An Anthology of Theories for Social Research, published in Nigeria. He is a Fellow of the Chartered Institute of Public Administrators of Nigeria, Associate Member of Nigerian Institute of Management, Graduate Member of Chartered Institute of Personnel Administration, Member of New York Academy of Sciences and many other professional bodies.Okey is engaged in consultancy services for the in-service training of government employees. Some of his publications can be accessed on Research gate or Google Scholar archives.